A TURKISH-BORN SUSPECT has confessed to terrorism charges over a shooting on a tram in the Dutch city of Utrecht which killed three people, prosecutors said today. Thousands of Dutch mourners including Dutch Prime Minister Mark Rutte took to Utrecht’s streets this evening to pay their last respects to the victims of the rampage, which also left seven injured. Gokmen Tanis, 37, said he acted alone in Monday’s attack which triggered an eight-hour manhunt until he was captured. “The 37-year-old suspect confessed this morning to the examining magistrate the criminal offences against him. He also stated that he acted alone,” the Dutch prosecution service said in a statement. “An in-depth investigation has been carried out into whether the man was involved in the shooting incident or helped in any way. No evidence was found and the man is therefore no longer a suspect,” it said. Two other men were arrested and released earlier in the week after police sniffer dogs followed a trail from Tanis’s getaway car to their house. Marchers walked in silence to the 24 October Square in the city where the three people – a 19-year-old woman from Vianen, south of Utrecht, and two men aged 28 and 49 from Utrecht itself – lost their lives. The marchers were carrying banners saying: “Utrecht will never be bowed” and “Je suis Utrecht/New Zealand” in a reference to the recent Christchurch shootings and the 2015 attacks in France. Today the city is silent once again. “We are showing that Utrecht is no place for violence and hate,” Jan van Zanen told the marchers, after which a moment of silence followed. 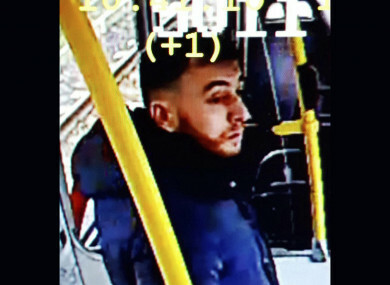 Email “Utrecht tram shooting suspect confesses to deadly attack, claims he acted alone ”. Feedback on “Utrecht tram shooting suspect confesses to deadly attack, claims he acted alone ”.